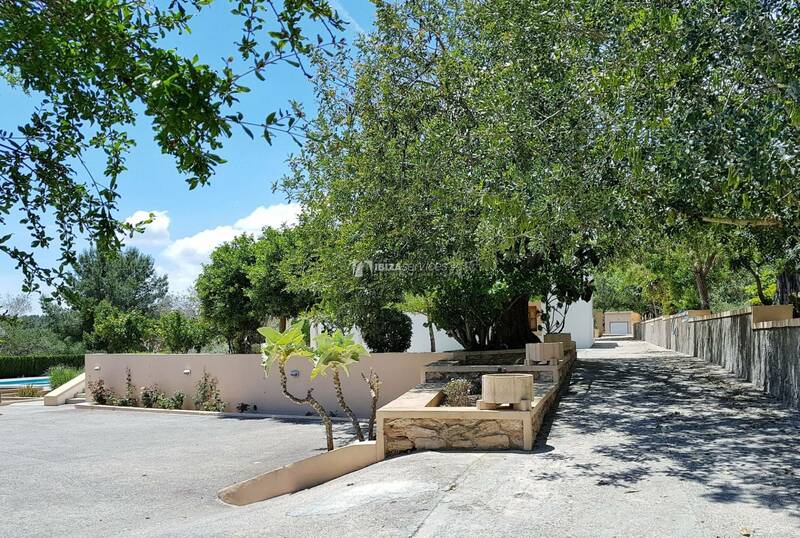 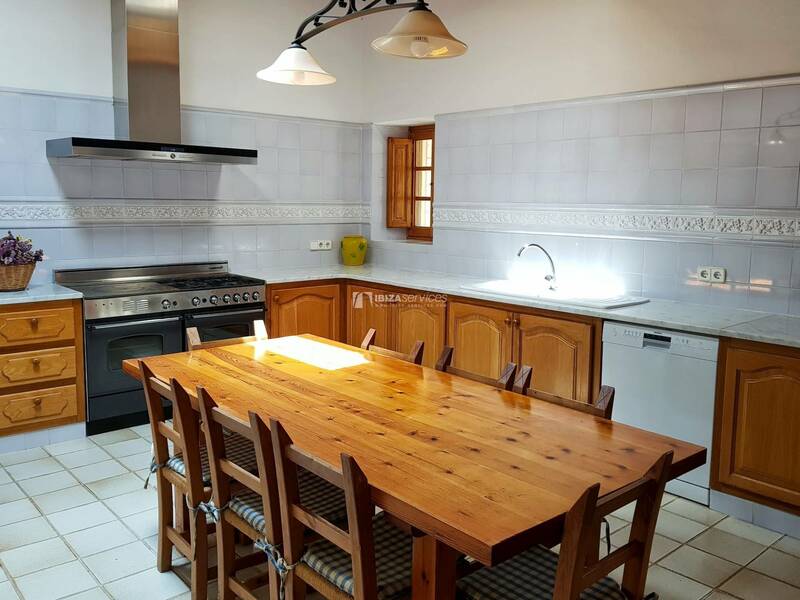 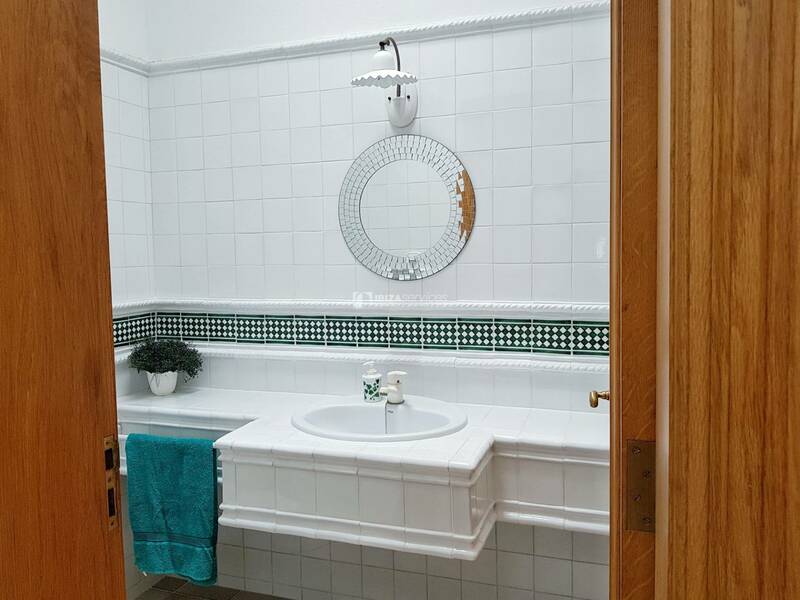 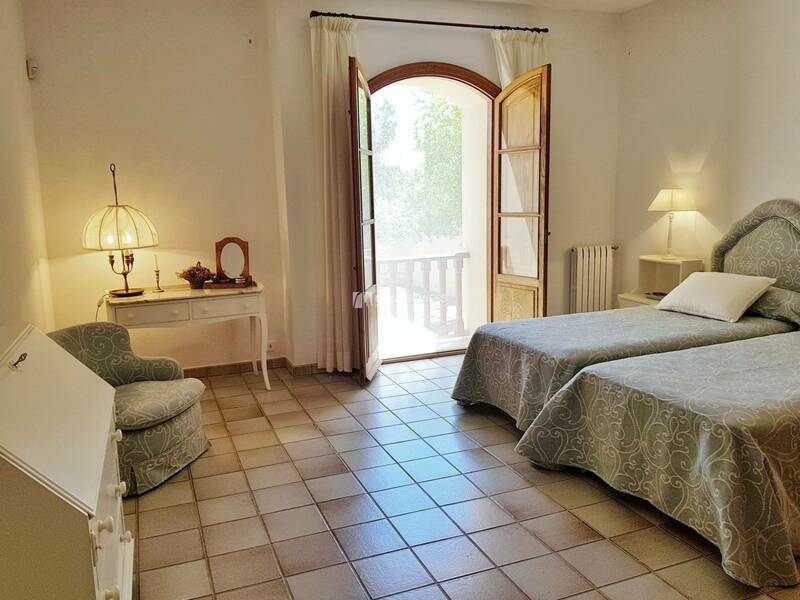 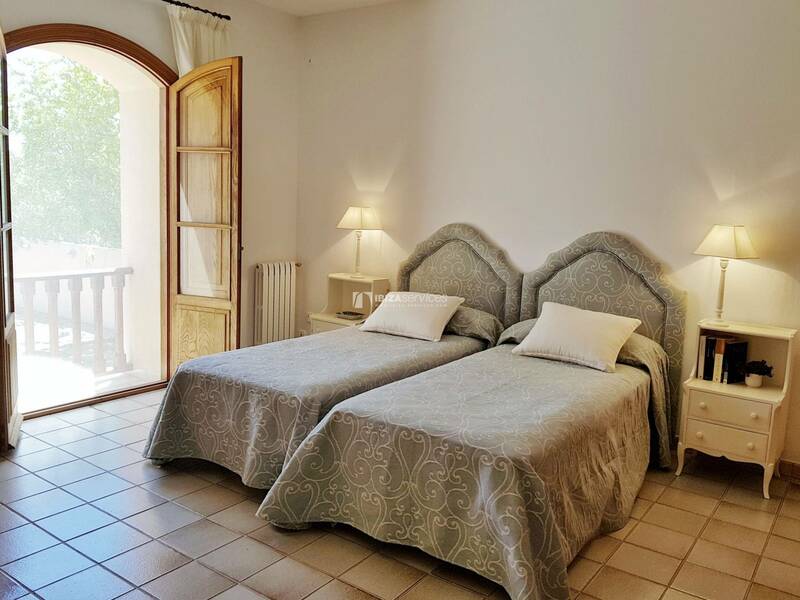 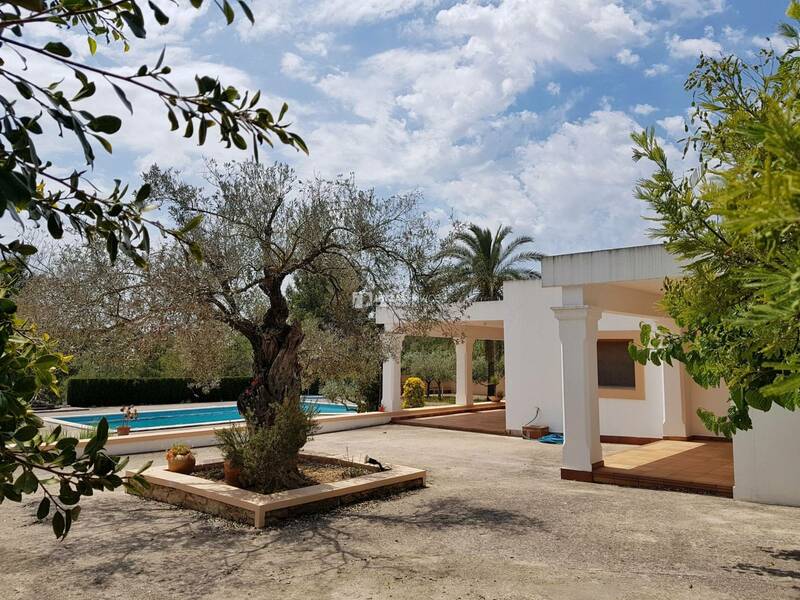 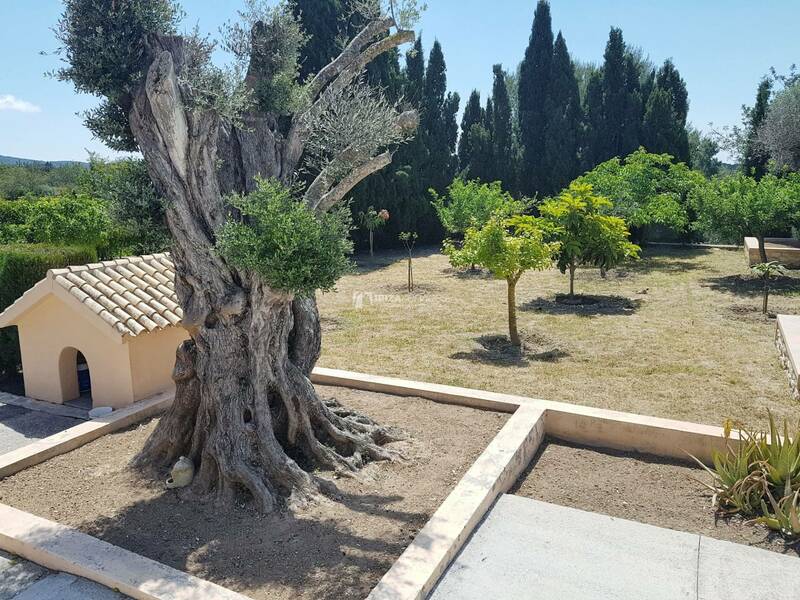 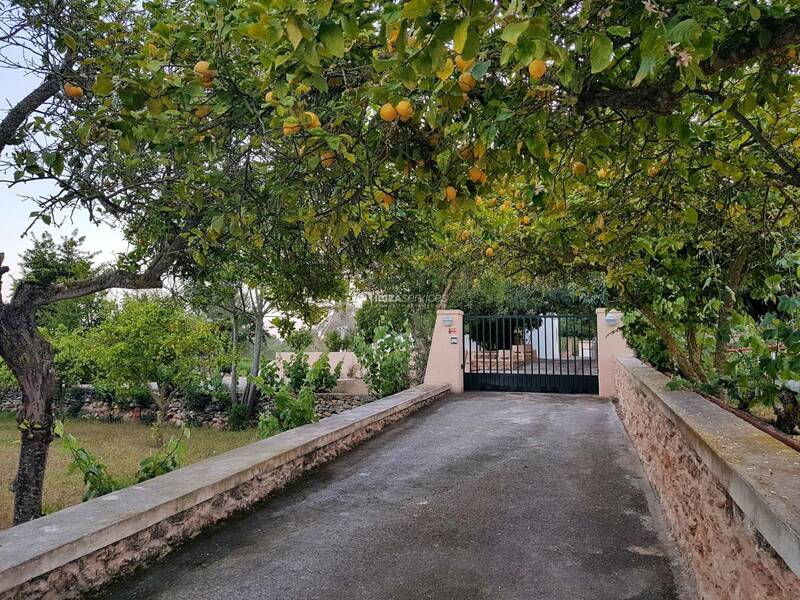 Located in walking distance of the village St Gertrudis the old finca of over 200 years and an area of ​​410m2, extends on a plot of 3000m2 with trees and fenced. 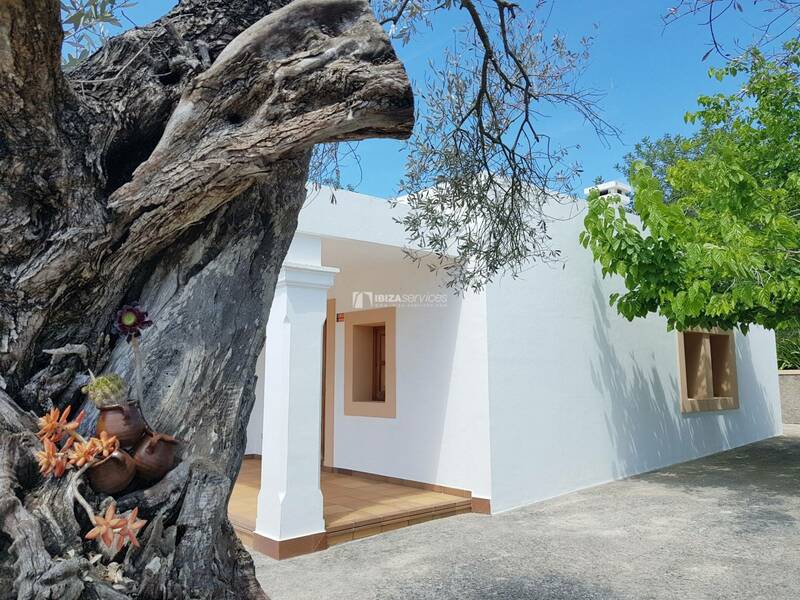 Located in the geographical heart of the island, the village of Santa Gertrudis is Ibiza in microcosm. 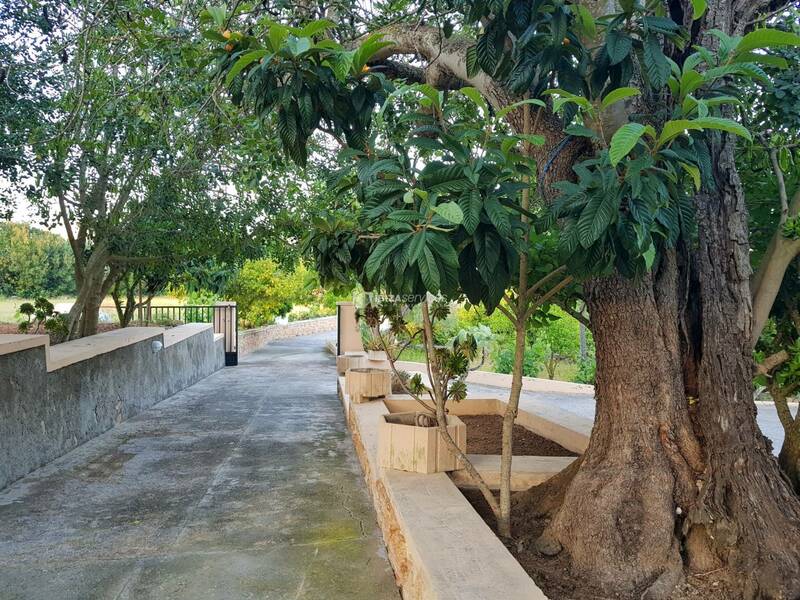 Steeped in tradition, its main square is home to the whitewashed church and a cluster of bars, restaurants and shops, while in the rich agricultural landscape all around, live sheep, unique goats of the island. 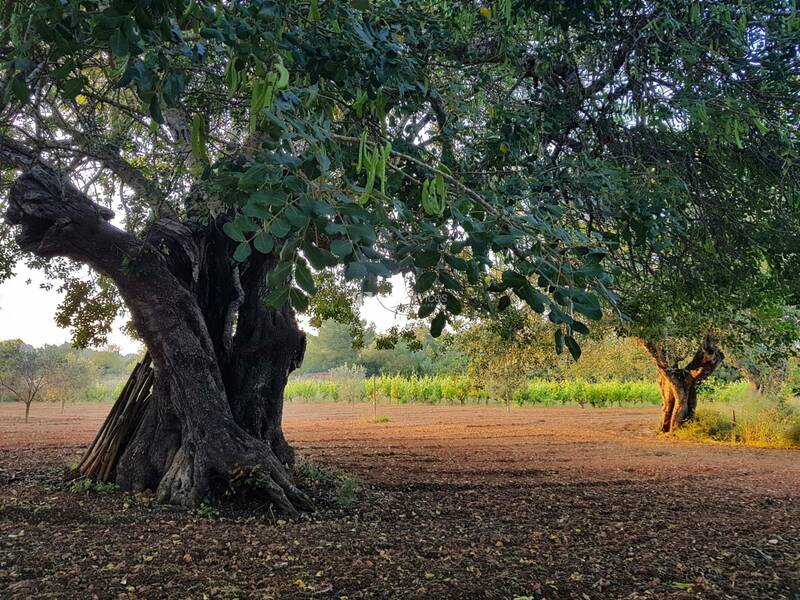 Santa Gertrudis has undergone rapid but controlled expansion in recent years. 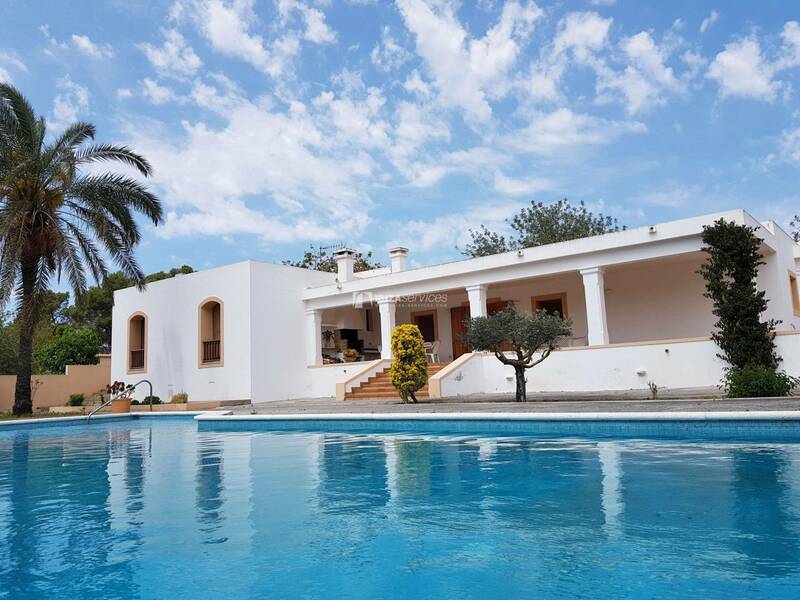 The modern and elegant villas line the new streets, the village square has been redone and has become a welcoming pedestrian square with many new cafes and trendy restaurants that have joined the traditional Ibicencos establishments. 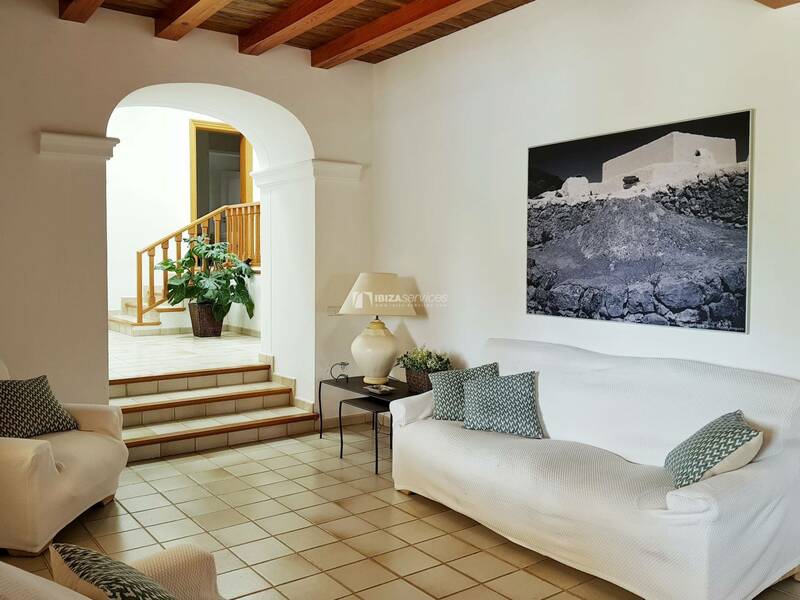 Many artists, sculptors and musicians have settled over the years and their works are everywhere in the galleries and most famous Bar Costa. 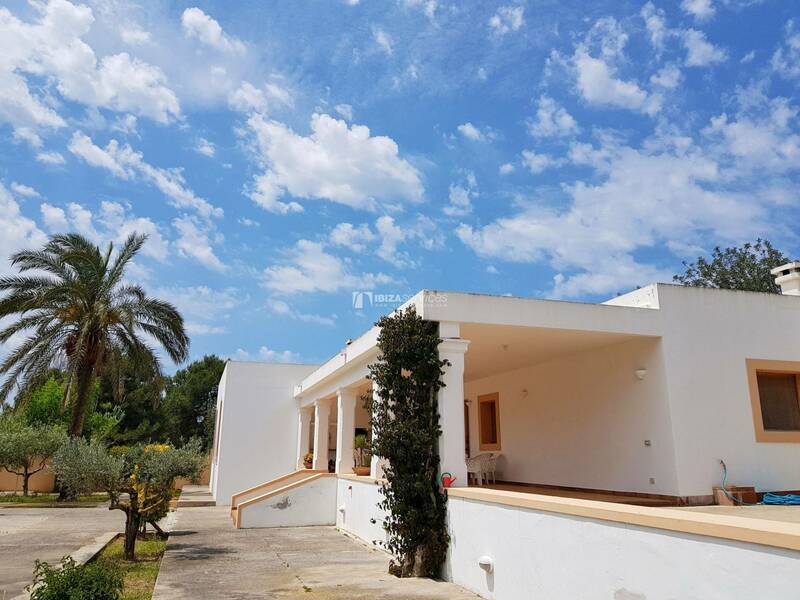 It is also a place of residence for newcomers from Europe and beyond who have brought a different and more bohemian lifestyle to the village. 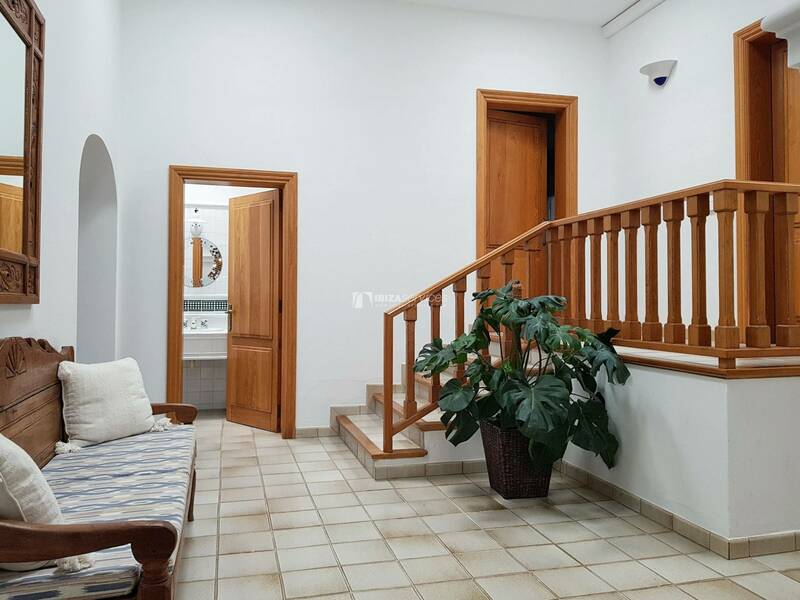 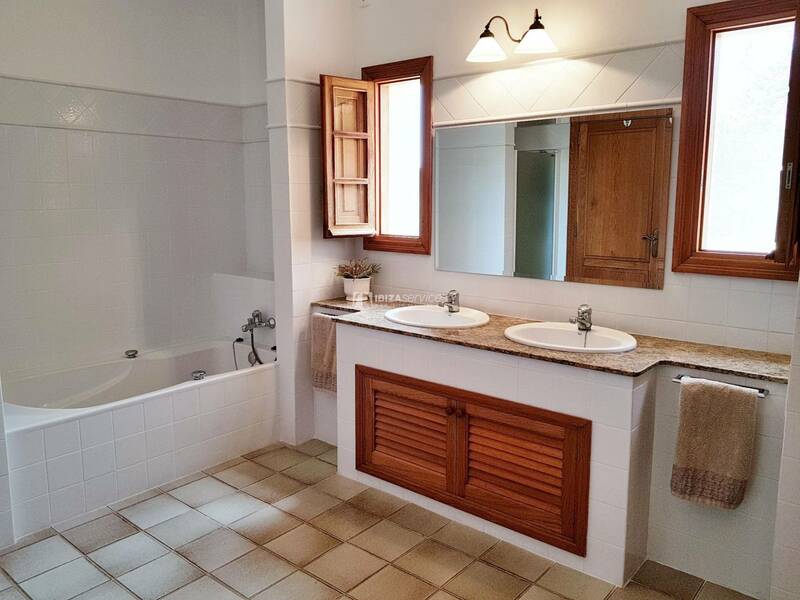 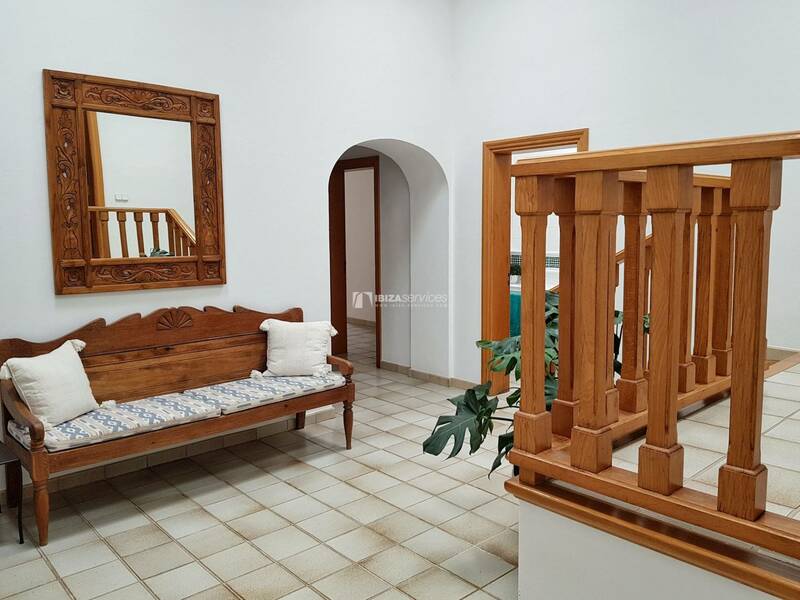 The villa comprises a porch, living room, living room, kitchen, 4 double bedrooms, 4 bathrooms and 1 toilet, 5 beds (3 doubles and 2 singles), Air conditioning in all rooms, in the living room and in the dining room . 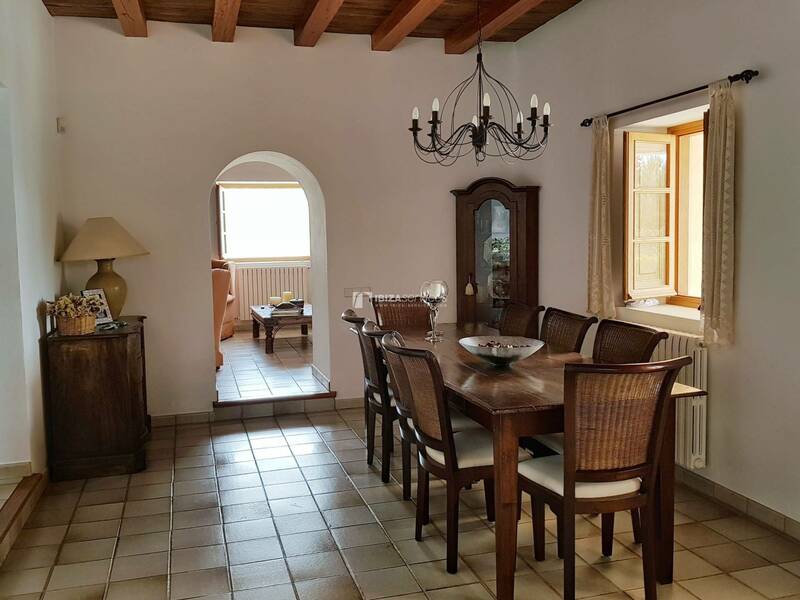 Central heating, fireplace, alarm, satellite dish, Wifi and internet connection. 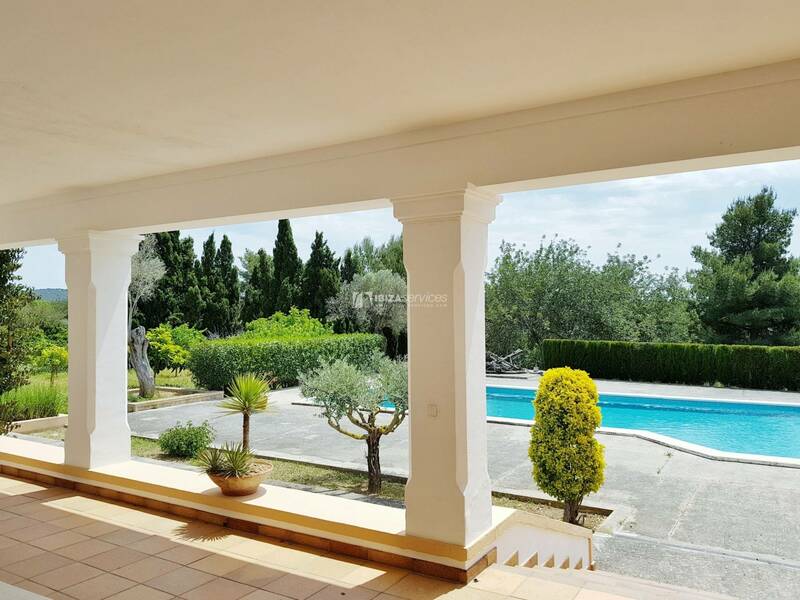 90m2 of swimming pool , 2 barbecues, Parking. 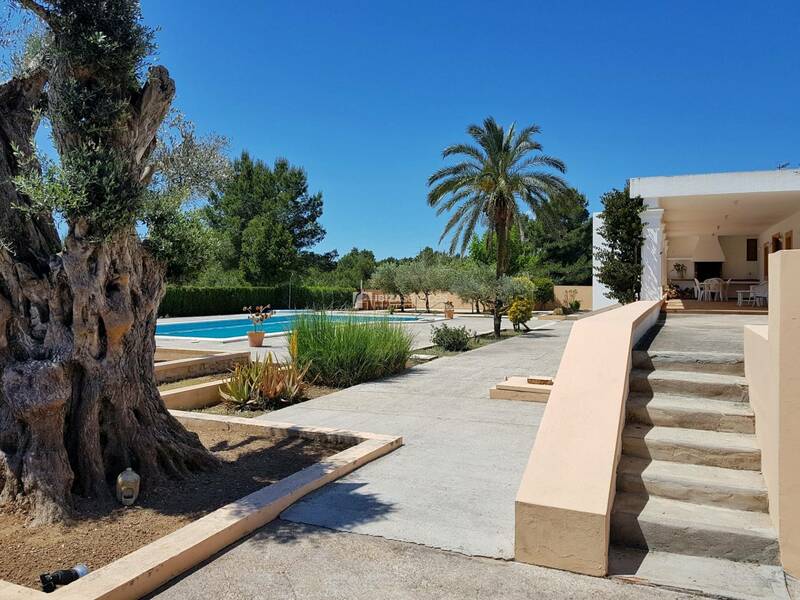 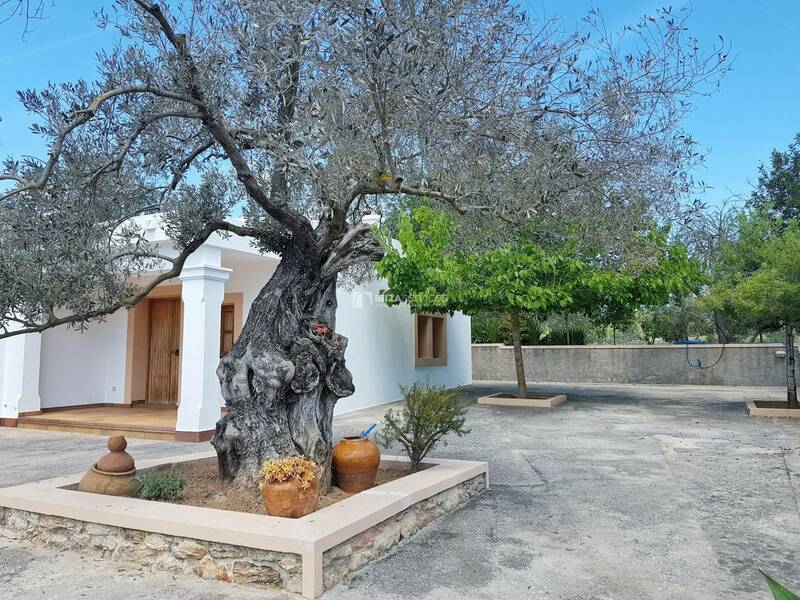 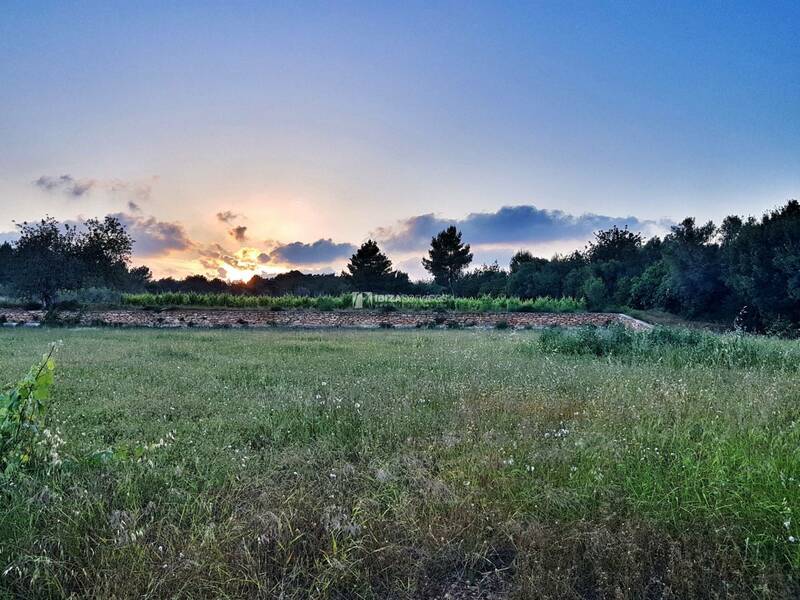 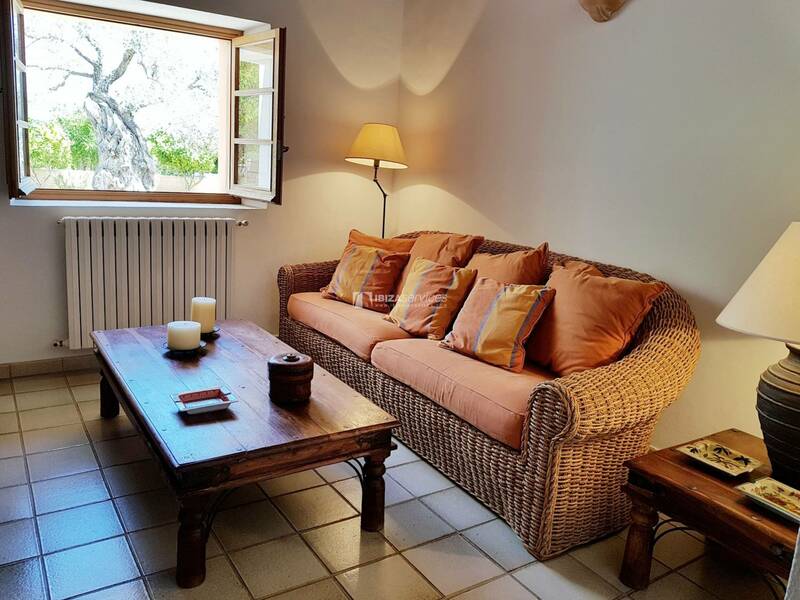 Ibiza Services Ancient finca located in the heart of the village of St Gertrudis.